Atami is one of most under rated cities of Japan. It is most famous for connecting to the three major cities of the country. But, another two reasons why people would always remember are; one because Japan’s first Shogun, Minamito Yoritomo got to know his wife- the famous Masoko in this very province in the 12th century and secondly because of the naturally healing spring water found at Izusan Hot Spring here. In fact during the Edo Period, the Shogun even had people bring up the water from this Spring to his castle. Visitors since then have been visiting this famous hot spring and continue to visit the spot to re live the history and to witness the miraculous powers of the spring. Create a flawless plan, make use of Atami trip planner. 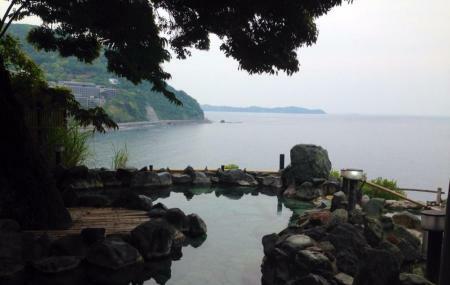 Book perfect hotels in Atami like Ito Ryokuyu, Grandview Atami Private Hot Spring Condominium Hotel, Hotel Kan-ichi and Senkei. Draft the best Atami vacation packages using ideal templates offered by TripHobo. Also explore how to reach Atami on the go! Love this? Explore the entire list of places to visit in Atami before you plan your trip. Fancy a good night's sleep after a tiring day? Check out where to stay in Atami and book an accommodation of your choice.